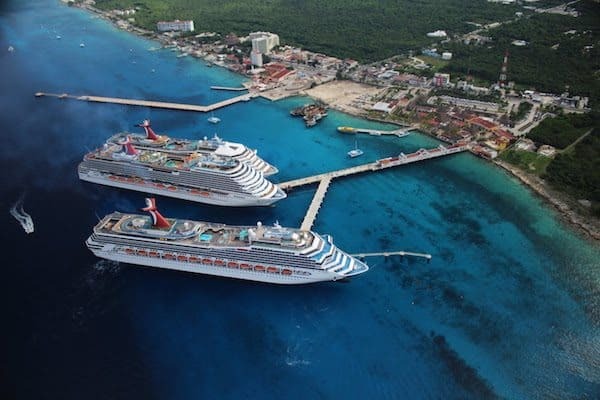 After several weeks of fear and uncertainty, cruisers planning trips which include stops at some of the most popular Mexican itineraries can breath easier: The U.S. State Department has lifted the recent ban they had regarding travel in that part of the world. As a result of the recent explosion, state and federal agencies are enforcing new security procedures for guests in the Playa del Carmen, Quintana Roo, Mexico area. The State Department warns that travelers should always exercise caution when visiting these areas, be aware of their surroundings, purchase travel insurance and contact the nearest U.S. Embassy or Consulate if they find themselves in need of assistance. Travelers can also enroll in the STEP program. The Smart Traveler Enrollment Program (STEP) is a free service which allows U.S. citizens and nationals traveling and living abroad the opportunity to list their travel information with the U.S. Embassy or Consulate. This allows the agencies to contact a traveler if situations arise which they should be aware of, including emergencies such as a natural disaster or civil unrest. It also makes it easier for family and friends to get in touch with you should the need arise. The Embassy telephone number for Mexico: (01-55) 5080-2000.